A wilderness national park covering 62 700 hectares. A pleasant walk to the top of Chaelundi Falls. 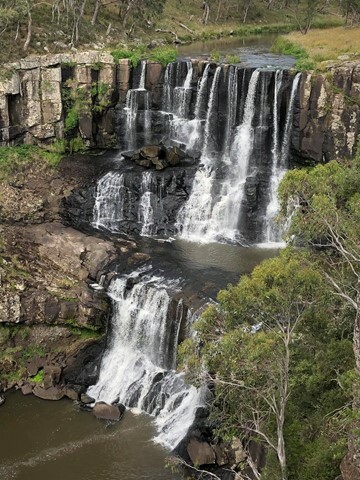 Easily one of the most beautiful waterfalls in Australia, Ebor Falls cascade over 100 metres down tiered columns of graphite coloured rock. 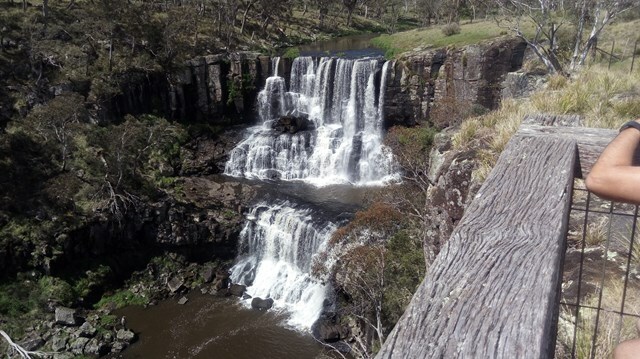 In fact, there are at least two waterfalls to see, all within walking distance of the car park. 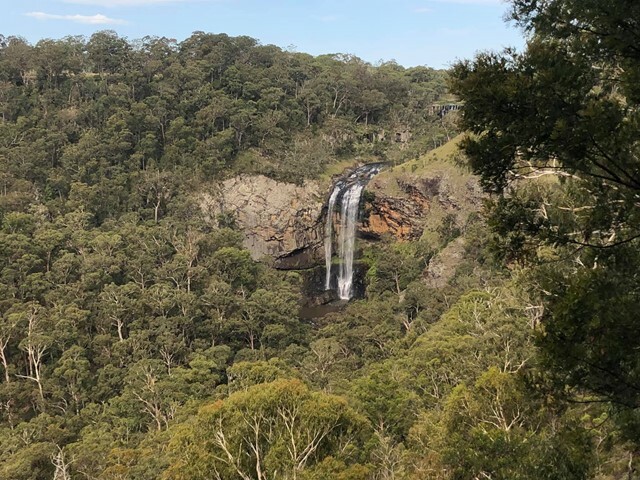 Big waterfalls, cascading through ferns and rainforest, down to the valley floor, with spectacular views down the Guy Fawkes River National Park. Pass Chaelundi Falls. The first 6 km of the track is easy-medium. Much of the track is grass but isn't too hard to distinguish. Much of this area consists of tall gum trees etc. with blade grass below. The area is regularly maintained with controlled burning. Making the grass nice and fresh. 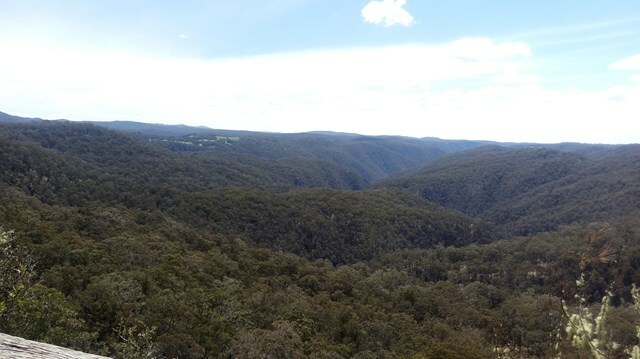 The 9 km includes walking the last three km to the rest area continuing on the escarpment track. However the rest area can also be reached via Jordan's Trail which you have to cross. This trail is 1 km shorter to the rest area. The final three km of the escarpment track is rougher. There is evidence of echidnas raiding ant nests in many places along the track. Also leaves from the surrounding she oaks and sticks covering the track leaving the track quite loose in many sections. Walking the track in this direction includes much of the track being an uphill grade - particularly the last two or three km. You can return via the road which adds another 5 km to the track, or via Jordan's Trail, until you reach the escarpment track again, and then turn right to get back to camp. This walk would be a total of 17km and takes approximately four hours. Easy walk along well-maintained track. Sights included a spectacular waterfall, birdlife and spectacular views from the point at the end of the ridge. Jordan's Trail is a road for authorised vehicles only. However it makes a nice walk. You can complete a 5 km circuit by returning to the rest area via the escarpment track. Walk1km along the escarpment walking track before the track to Lucifer's Thumb walking track branches off. The track slowly inclines until you reach Chaelundi Lookout. From here you have a fantastic view of the Guy Fawkes River and the surrounding mountains. Retrace your steps to return to the camp ground.